I've been considering for a while making the step from blogging here on blogger, to moving over to a self hosted WordPress blog. It's a really confusing thing to navigate when you've never done it before or if you're not particularly tech savvy, but you can do it. You probably won't even know what I'm talking about here unless you have actually attempted to start your own website, or already have your own website, but choosing a hosting service is the first most difficult thing to navigate, there are so may out there and as a beginner you don't always really know what the right choice is for your needs. It can also be pricy too, if you're not blogging for business, you need to consider whether or not you want to invest in your blog and if you are, by how much. As I was trying to navigate through this area myself, Reviews.com reached out and asked me to share their article for bloggers deciding on a web host, so I've decided to share it as it's actually relevant to me at the moment and to many other bloggers who are also trying to decide on a web host for them. You can also check out these hosting reviews too. People don't realise that blogging seriously is actually a very demanding job and is forever a learning curve for a beginner because you do need very specific knowledge! 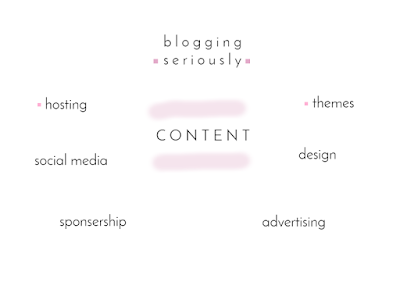 Are you thinking of moving from blogger yourself? Do you have a self-hosted WordPress blog? Share you thoughts and advice below! Congratulations! I hope self hosted website works to your advantage.